Have you received a traffic ticket in Barrie, or do you live or work in Barrie, and you have received a traffic ticket elsewhere? - If so, then don’t just pay your ticket; instead have one of our traffic ticket defence experts for Barrie area review your case first. 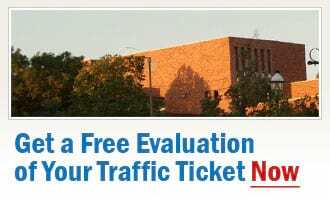 It is likely that we can get your traffic ticket charges reduced or even totally dismissed in Court. Whether you have been charged with Careless Driving, Stunt Driving, Speeding or any other traffic offence, please feel free to contact us for your initial, no-charge and no-obligation consultation. Our highly experienced and well trained Court agents can assist you with any traffic violation charge that you may have received, including speeding tickets, careless driving, drive under suspension, no insurance, stunt driving, racing, or any other traffic ticket. Assuming you leave in Barrie, the office closest to you is our head office in Kitchener. However, please note that although you are always welcome to visit us, we do not require that you come to our office - we can also discuss the details of your case over the phone. To arrange for your free consultation please call or e-mail us, or request a free, no-obligation traffic ticket consultation of your case online - whatever is more convenient for you. We take great pride in working to ensure that our clients receive the best possible outcome when having their charges defended in Court by our traffic ticket experts in Barrie. We can succeed in getting your traffic charges reduced, withdrawn or even dismissed, and your money and/or prevent you from accumulating demerit points. So try to relax and let the experience and dedication of a Ticket Defenders®* agent successfully take care of your traffic charges for you.